Considered by many as one of the most gifted athletes ever to play for the East Liverpool Potters, Jim Potts was educated in the city school system initially playing freshman football for Coach Lou Venditti. As a sophomore, he saw limited action as both a receiver and quarterback under Coach Bob Gibson but in his junior season he became a full-time quarterback, sharing duties with Bernie Allen, when the team finished 4-6. The final game was an embarrassing 54-7 loss to Alliance. Found in 1955 Yearbook at the ELHS Alumni Association. 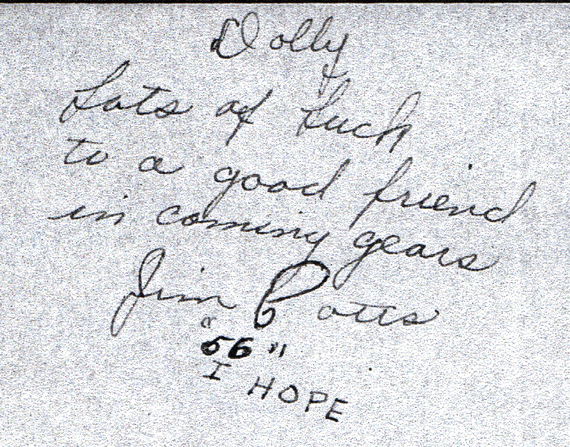 A peek into Jim Potts the student as he signed the yearbook of a unknown "Dotty" and expressing his hopes of graduating the upcoming year. It was in 1955, his senior year, that the versatile Potts led the Blue and White to the only undefeated football season in school history with a 10-0 record, capped off by a 34-14 win over Alliance. The revenge victory remains one of the school's most memorable wins. A masterful ball handler and forward passer, Potts completed the longest touchdown pass in ELHS grid history, 90 yards, to Bert Dorsey on September 30, 1955, against New Philadelphia. His prowess led to him being named to virtually every All-Ohio team, including the prestigious Columbus Jaycees' All-State squad, following the season. Jim Potts, Coach Bob Gibson, Ed Massey. (Photo from We Are the Potters "100 Years of East Liverpool High School Football." Courtesy of East Liverpool Review. Potts was also a member of the basketball, baseball and track teams during his high school career before enrolling at West Virginia University on a football scholarship in the fall of 1956. Unfortunately, he was side-lined by a shoulder injury, at WVU, which was thought to have ended his playing days. By 1957, his high school coach, Bob Gibson, had been named an assistant at Bowling Green State University and called on his former quarterback to join him under head coach Doyt Perry, in spite of the nagging shoulder problem. Potts responded by quarterbacking the Falcons in 1959, 1960 and 1961. In 1959 the team won both the College Division National Championship and the Mid-American Conference Title. 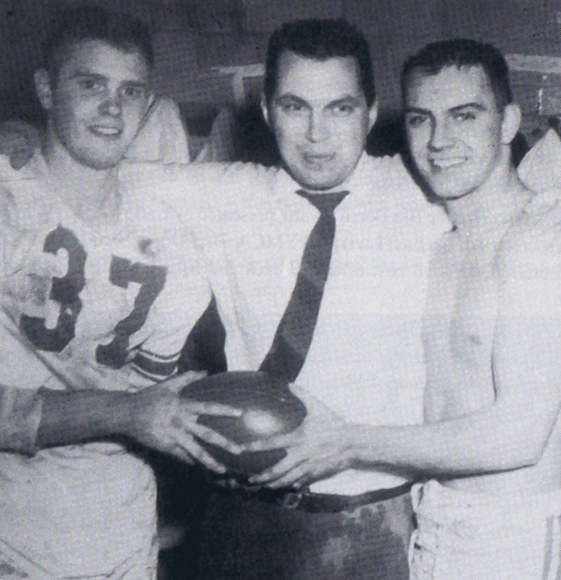 In 1961, with Potts returning as an all-conference signal caller, they repeated as MAC champions. Returning to East Liverpool following graduation, he joined the football coaching staff of Bob Hedmond and then Bob McNea in 1964, and, also, was named head baseball coach. In this capacity, be led the Potters to the runner-up spot in the 1969 state tournament at Columbus. 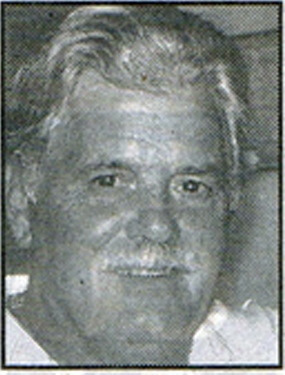 After a brief coaching stint in Ashtabula County during the early 1970s, Potts became a resident of Vero Beach, Florida, where he entered the restaurant business. However, he continued to maintain his ties with East Liverpool as a Century Club member of the East Liverpool High School Alumni Association, along with frequent participation in the association's golf tournaments. In 1985, he was inducted into the school's Athletic Hall of Fame.